Sexta Etas Mundi. Folio CCVIII - SCHEDEL, H.
Title : Sexta Etas Mundi. Folio CCVIII. Description :RECTO: Woodcut of St. Dominc, founder of the order of Dominican monks and St. Francis, founder of the St.Franciscan order. 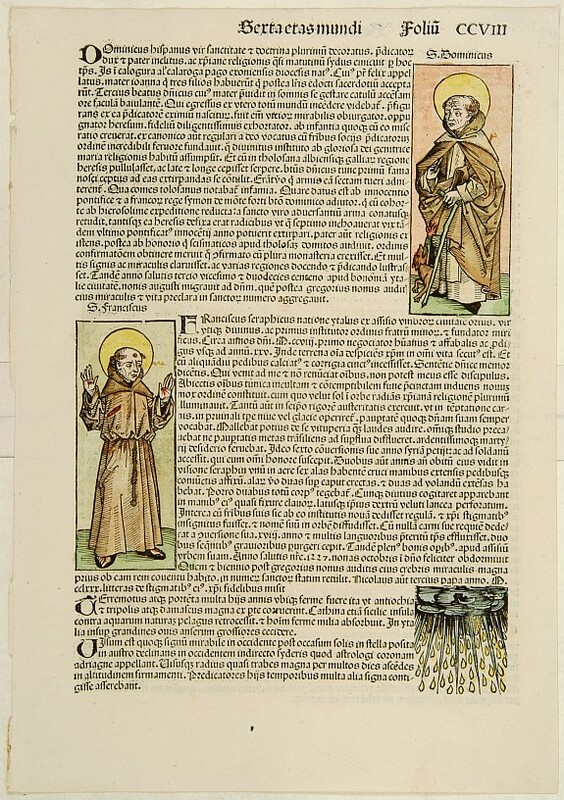 VERSO: woodcuts of three different popes.